I bought it 3 years ago as a standard bike dressed for the track. My Dad and I have had it to nuts and bolts and turned it into a championship winner! 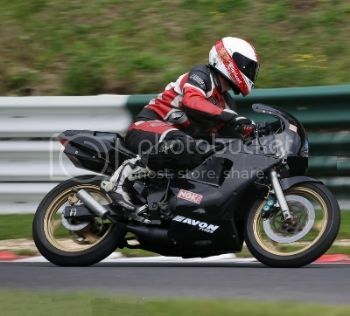 Done the Rd350 on the last lap lol,you like the drop down through Craner Curves into Old Harpin and a very late braker,timed one of your laps at 1.49.94,going well. 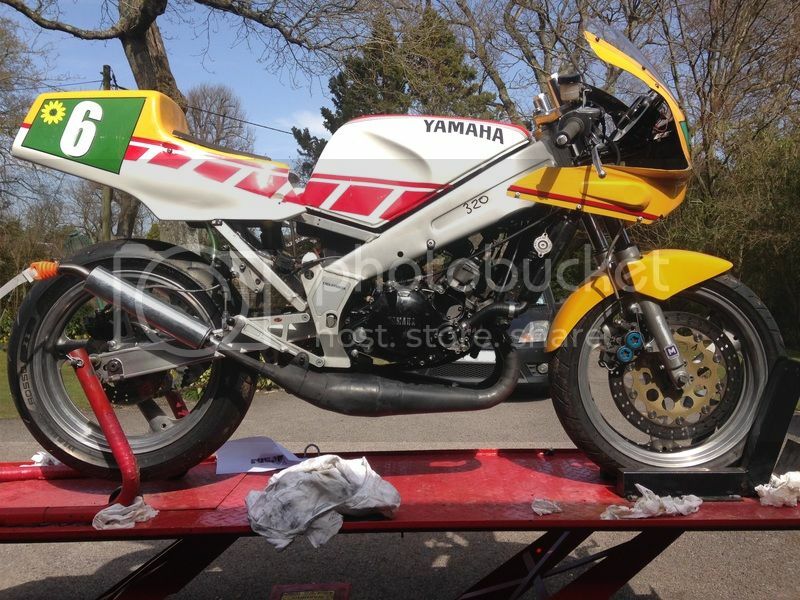 Lovely bike , great riding too , this is a 2ma ? I see diablo corsas but what size is the rear on these ? Bike is singing and rider to. I like that guy who tried to take the lead from you, he caught a massive speed wobble and backed off. Ace! That was Rik guest riding on an LC/RD350 hybrid, that thing rips! But is hilarious to watch wobble and slide through the corners. I watched the Oulton one last night - my favourite track. I have many many happy memories of racing around there, both on a TZR and a TZ. Cascades is the best corner in the country. And before they put the chicane in, Knickerbrook was one of the most terrifying. I lobbed my TZ away there (I'm such a ham-fisted idiot that I didn't actually realise I'd crashed until I saw sparks coming off the brake lever) and went about 400 yards up the grass on my arse. Particularly like the flower on the seat unit My last race TZR had some daisies on the seat unit, and my current road TZR does too. All the best TZRs have flowers on them. Great to watch, and a brilliant result from that start position. I couldn't help think something was missing from the track - then I realised Starkeys Bridge has gone................when did they remove that ? The place is as awesome track but boy have they ripped out the trees from the infield !! 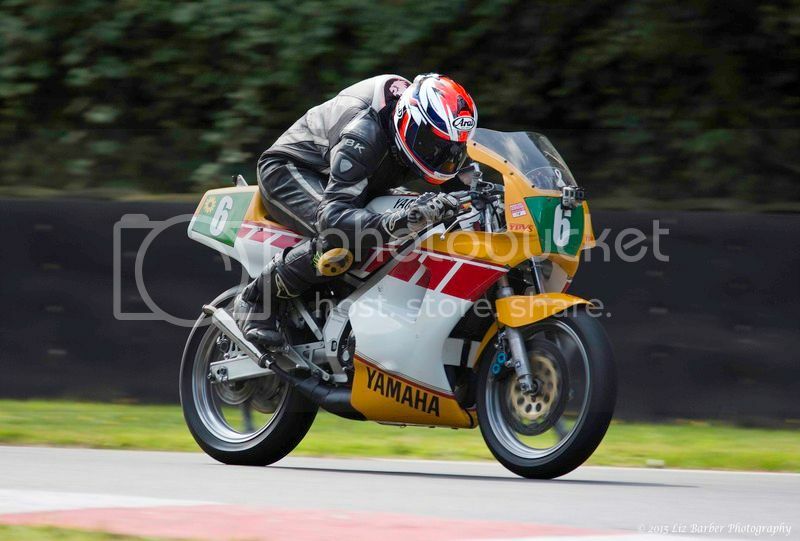 Also proves you don't need to be a midget racing snake to win a championship, just ride it flat out and be consistant. Got to be one of my favourite vids that, it's a lesson on how to get on with it after a failed qualifying, from the back to the front. Sorted!